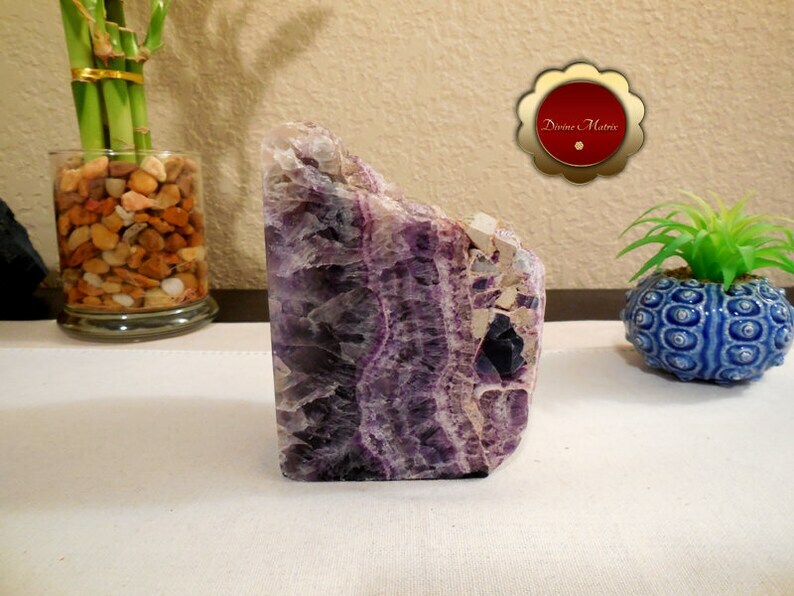 This is a beautiful display piece.. purple fluorite that measures approx 3 1/2" x 4" high x 3" and weights 2 lb 9.2 oz. Two sides are polished and the back side is raw, unpolished. It has a felt bottom. This is the exact item you will get.. more gorgeous in person.. The colors are amazing! High quality fluorite.. This is a great piece to work with energy healing, meditation, sacred space or just for display. Fluorite protects against psychic attack and negative vibrations. It is used to clear and cleanse your auric energy field. Also used to remove astral attachments.